The efforts of Doreen and her husband Neville drew attention to the failure of the Metropolitan police to take the case seriously. They were to lead to the MacPherson report and its findings which accepted that the force was institutionally racist and which initiated major efforts to changes in policing in the UK which are still on-going. 18 years of relentless campaigning, two failed prosecutions, a public inquiry and a £4 million police inquiry to convict Gary Dobson and David Norris for the murder of teenager Stephen Lawrence. In 1999, after years of campaigning a judicial inquiry was established by Jack Straw, the Home Secretary. Chaired by Sir William MacPherson, the inquiry concluded that the Metropolitan Police was ‘institutionally racist’ which was one of the primary causes of its failure to solve the case. 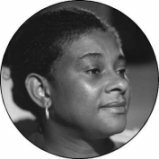 Doreen Lawrence has shown exceptional leadership qualities of persistence, determination, and considerable skills at influencing and motivating others. Her efforts match those of other leaders who fight to achieve justice for a cause. Sentancing took place this morning at the Old Bailey. The BBC account was still being updated, mid day, but gives an overview of an historic case which helped change the law and perhaps helped change public attitudes towards hate crimes and acceptance of institutional racism in the United Kingdom. You are currently browsing the Leaders We Deserve blog archives for the day Wednesday, January 4th, 2012.